Yanitsa and Charles got Maui'd at Kapalua Bay on Maui, our favorite beach for weddings on the west side. It was a beautiful day with a slight breeze and some partial clouds to create a perfect setting for photography. 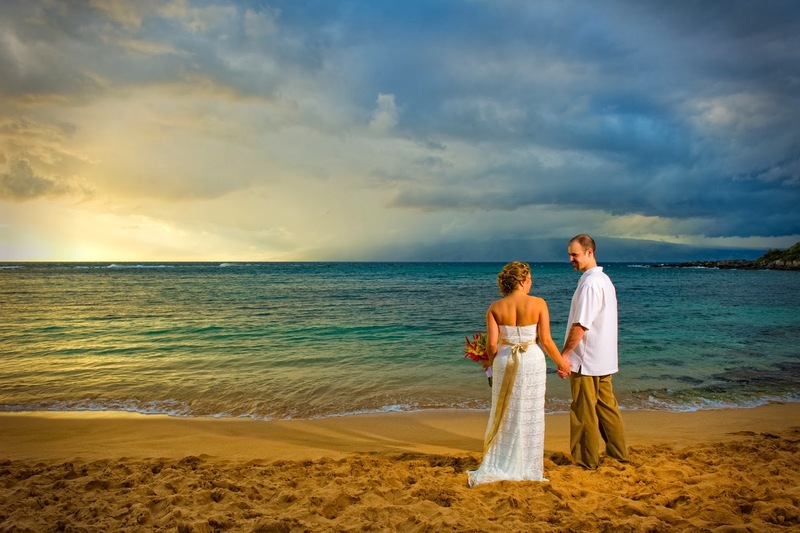 Marry Me Maui Wedding Planners focuses on professional planning services and we are absolutely obsessed with killer photography for our Maui Wedding Couples. After the tan has faded and the dress is packed away, all you have left are professional images. Don't settle for less or the amateur with a camera, give us a call, 808.242.1100 or email and get a no obligation quote for your perfect Maui Wedding or just talk story! This week we had the opportunity to ring in the New Year with a double LGBT wedding on the shores of Kapalua Bay. A nice cool morning kept everyone comfortable and the beach goers were nowhere to be seen. Reverend Diana George officiated the ceremonies and Christie & Jennifer got married along with their best friends Cassie and Catherine. 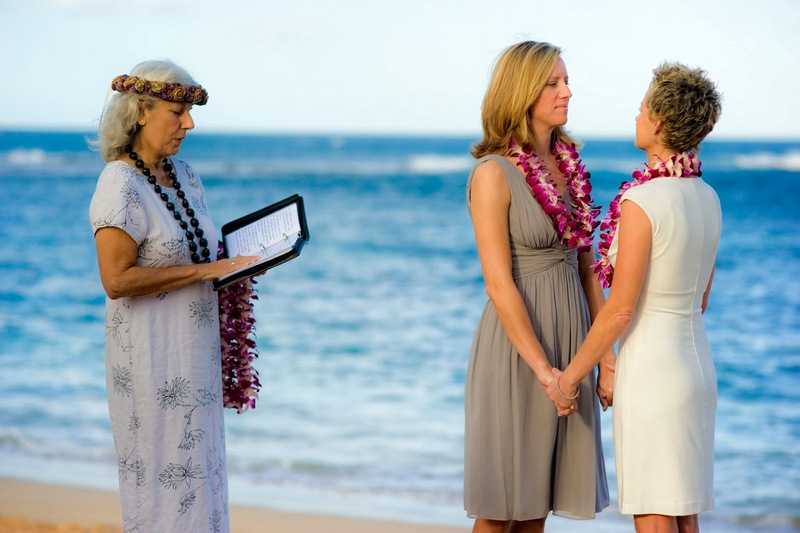 Since the Hawaii legislature formally legalized gay marriage in Hawaii in December 2013, Marry Me Maui Wedding Planners has performed several LGBT weddings and we have been performing civil unions since 2012. 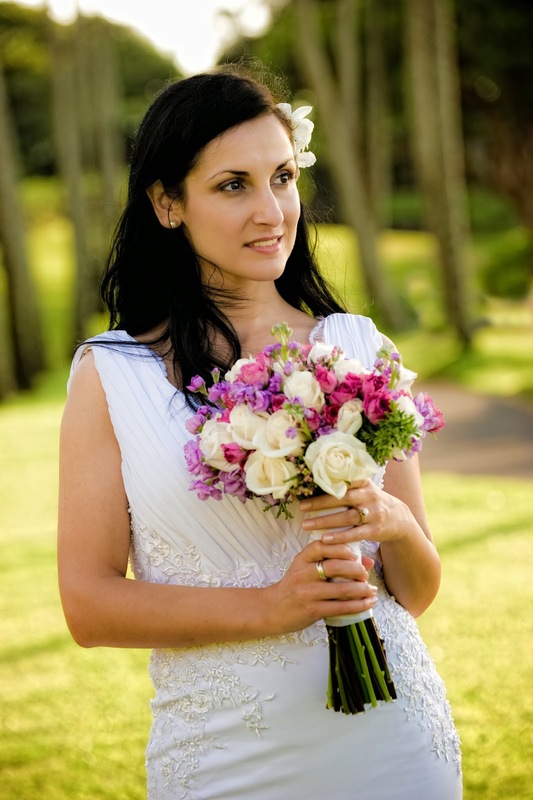 If you are looking for a casual, fun beach ceremony on Maui with Killer photography and professional planning services please check out our website or call Marry Me Maui at 808-242-1100. Mahalo!